I have had this jacket for years and it is one of the most worn items in my closet. I love that it can be paired with any dress, skirt or skinny jean combo and matches practically everything. 1. A smaller size. A larger size or even your normal size, could add unnecessary bulk. Aim for one size smaller than you usually wear. 2. A lightweight fabric. A jacket that is softer will be easier to move in, give you a softer look and obviously be more comfortable. If possible, buy a used jacket for that already “lived-in” feel. 3. A medium-colored wash. This color will have the most versatility and will transcend trends, therefore extending the amount of time you’ll be able to wear it. 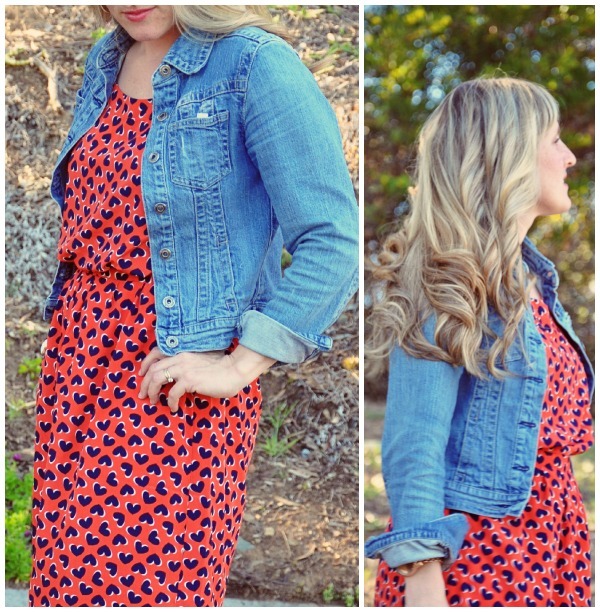 If you haven’t yet, you should consider adding a jean jacket to your wardrobe soon! Posted in Fashion, Inspiration and tagged Closet Staple, Fashion, Inspiration, San Diego. Bookmark the permalink.